Gambling is all about winning and enjoying the rewards of winning. With normal gambling, it is easy to do so. All one has to do is to take their chips to the casino cashier and have them converted to cash. This is not possible with online casinos, especially those that deal in bitcoins. Online gamblers who play with fiat currency alone have it easy. All they need to do is arrange to make a withdrawal of their bankroll. If done properly, a fiat currency gambler’s money should be in the bank in less than a week. Admittedly, players in a Bitcoin casino will get their bankroll faster. The trouble is that it is all in bitcoins. Even with Bitcoin’s increasing market penetration, enjoying Bitcoin casino winnings is still problematic. This is mostly because not everyone accepts the cryptocurrency. To truly enjoy a casino victory, players will want to convert their bitcoins into always-accepted fiat currency. It is not just with withdrawals. Deposits can also be more convenient if fiat currency were converted into bitcoins beforehand. This is why having a good relationship with a Bitcoin exchange is important for an online Bitcoin gambler. It makes the process a lot easier and there are fewer worries if a person can depend on an exchange to come through. 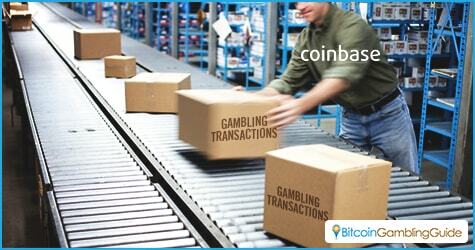 Two excellent examples of gambling-friendly Bitcoin exchanges are Bitstamp and OKCoin. They can be accommodating for Bitcoin gamblers and provide excellent services. Here are a few details about the two. Bitstamp, a UK-based Bitcoin exchange, primarily dealt with the European market initially. As the Bitcoin world has progressed in recent years, however, the site has found an international purchase. It is considered one of the largest Bitcoin exchanges in the world and its self-regulation efforts have made many people put their trust in it, even certain online gambling brands like BetCRIS. The exchange trades in US dollars, but with its access to the EU’s Single Euro Payment Area, it allows members to make deposits and withdrawals in the euro zone with minimal transaction fees. 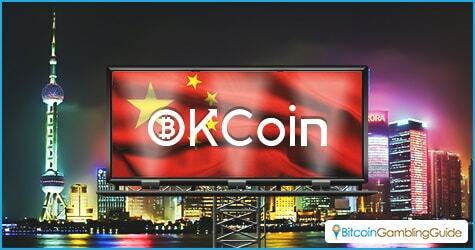 OKCoin, on the other hand, handles the large Chinese and Asian markets. At present, the exchange offers conversion of Bitcoin into Chinese yuan and US dollars—currencies that would be of great interest to online gamblers. With many Asian online gamblers out there, OKCoin has become a favorite, mostly because its services are considered trustworthy and fast. Not all Bitcoin exchanges are as welcoming as the above two, though. The permissiveness of BitStamp and OKCoin cannot be emulated by everyone. US-based Bitcoin exchanges often self-regulate when it comes to gambling. For instance, Coinbase, a very popular Bitcoin exchange that offers wallet and payment-processing services often freezes a user’s account when a hint of association with gambling transactions surfaces. This can be blamed on the very strict US anti-online gambling laws. The strict fines and other penalties make any Bitcoin exchange in the US extra careful in their dealings with gamblers. As long as no hint of wagering is connected to an account, exchanges often let it operate, but they come down hard when there is. Bitcoin gamblers should be mindful then of where they take their bitcoins. Dealing with gambling-friendly Bitcoin exchanges can be better even with the hassle of going overseas.